The log house at the Beaver Area Historical Museum – including plantings of native grasses and wildflowers, and a variety of herbs – displays great natural beauty and plays a major role in the educational outreach mission of the site. 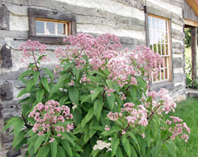 Switchgrass, Bergamot and Wormwood, among many other plants, demonstrate a natural setting typical of a log house homestead on Beaver’s frontier in the early 1800s. The vision – developed and executed by the board of trustees and dedicated volunteers – is to maintain a site so convincing that visitors literally become immersed in it. The goal is to help guests take a 200-year step back in time as if they were standing in a clearing of a dwelling, surrounded by vegetation, in an otherwise heavily wooded wilderness. The goal has not been to create a manicured setting with neatly mowed lawn and clipped hedges, typical of present day residential Beaver properties. This would be contrary to a frontier landscape. Rebirth of a Log House – Believed to be one of six homes in the original settlement of Beaver, our log house has been rebuilt on a site very different from its initial placement. The challenge was to effortlessly integrate the structure into a new site bordered by 20th century residences, and the mainline tracks of the CSX Railroad. Another challenge was to make the site suitable for plant growth to overcome the subgrade of cinders accumulated during years of the town’s street sweeping operations. The site design goal has been to simply recreate the natural setting in which the log house once stood. The site extends the educational mission of the log house to demonstrate the lifestyle and everyday living conditions faced by typical settlers. A Natural Setting – A wide, curving band of tall field grass separates the log house from the manicured lawns along the adjacent residential district of River Road, “placing” the house back in its original, field setting. An (infrequently mowed) lawn surrounds the house and pathways, providing access for groups while supporting the natural appearance of a more typical, early 1800s site. Masses of bulbs have been planted within to provide color, while their foliage is discreetly hidden. This will mimic the effect of naturally occurring wildflowers that present themselves in areas absent of mowing practices and herbicides. Tall Grasses – The band of tall field grasses is very important to the design effect because it replicates the field in which the clearing was created. In design terms, the grasses are considered the “unifier”; their presence is the most abundant and simple aspect of the design that unifies the more elaborate and detailed individual site elements – the wildflower bed, herb beds, and vegetable garden. The grasses also visually disguise the lawn around the log house and create an overall, natural impression for visitors. Wildflowers and Herbs – The surrounding wildflowers are native to Beaver County and could have been collected from local fields. Among them are Wild Senna, Culver’s Root, and Oxeye Sunflower. The intent of the gardens is to provide sustenance. Herbs such as Borage, Feverfew, and Angelica, among others, also have medicinal value.  Split-Rail Fencing – A split rail fence in the original, criss-cross style of the era provides a safety barrier between the steep slope and the rear of the log house. This fence follows the same angle as the house, providing a subtle acknowledgement of structure to site. To further visually separate the site from adjacent residences, and to provide a food source, a small grove of apple trees has been planted. The orchard, along with the band of field grass, extends beyond the site to create the illusion of a larger space. A crisp edge of mowed lawn provides a transition between the relaxed appearance of the log house, and the residences along this portion of Riverview Park. Vegetable Garden – An extensive vegetable garden flanks the main entrance path to the house, bordering and screening the hairpin fence along the adjacent railroad tracks. Climbing vegetable vines soften the screen while enhancing wonderful views of distant, wooded hillsides. Near the back of the house, herbs have been planted where they are most accessible to the kitchen. Masses of fruiting shrubs, such as Currant and Cranberrybush Viburnum, complete the design. Plant species have been selected from those available in the early 1800’s, and those tolerant of dry base conditions with minimal maintenance. Gardens of edible fruits, vegetables, herbs, and berries typify how the site functioned during its era. Materials and methods reflect those employed or available when the house was inhabited.